It was a stupid idea really. I’d badly sprained my ankle only a few days ago, and hadn’t even managed a run since. The forecast looked great for a day in the hills though. After a bout of man flu, then half term family holiday, three weeks have gone by and I’d not done any Wainwright bagging. I was getting way behind my schedule. So, in a way, I’d no choice really. What’s the worst thing that could happen? Going over on my ankle again? OK – then I’ll strap it up. Driving over Kirkstone Pass to Glenridding after lunch, I could see grey clouds building up, the early morning blue sky and sunshine had disappeared. I was a bit surprised by how much snow there was on the tops after I’d gone over Kirkstone Pass. I parked the van in the National Park car park, signs telling me it’s free. Maybe an attempt to encourage people to the deserted village that took such a battering from the floods? First I strapped up my ankle with gaffa tape. I tried to remember who it was that put me onto gaffa tape for ankle strapping. Definitely someone from my old fell running club Pudsey and Bramley. Rupert maybe? Or was that the Super Glue for blisters, or Araldite for cracked skin? 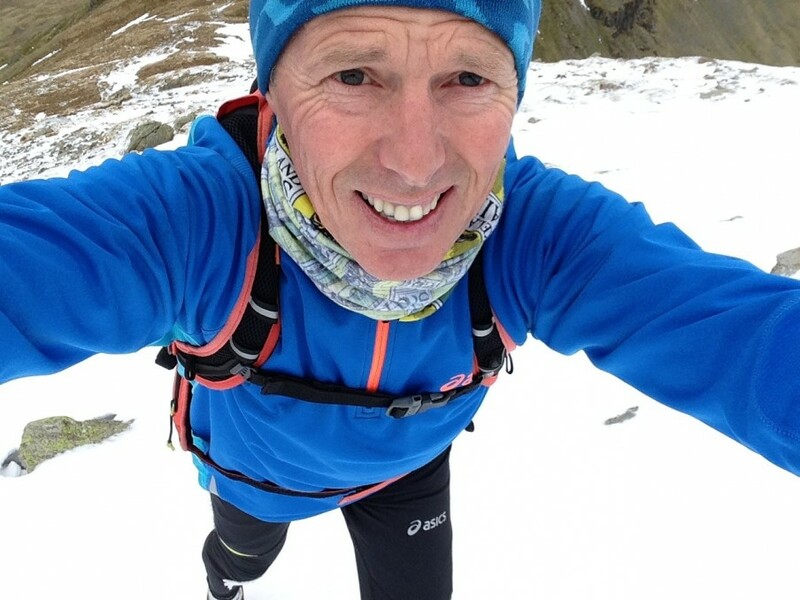 Anyway, I remember strapping my ankle before a fell race with some expensive, zinc oxide tape when someone said gaffa tape would do the job just as well. A few weeks later I tried it and haven’t used anything else for almost twenty years. Setting off along the road to Patterdale, I cut across the football pitch to start the climb to Arnison Crag. The ground was frozen, and I was wary about my foot plant. Soon I found a rhythm up the climb, using my poles and making good progress. From the summit, I took a contouring trod around the spur and then a big, steep climb to the summit of Birks. All around the views were impressive. 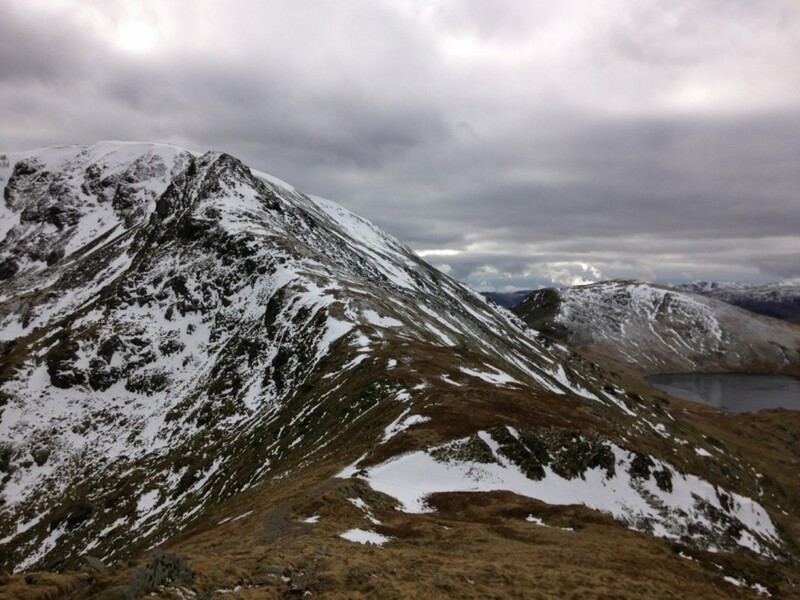 A big cornice snaked along the whole length of the Helvellyn ridge. 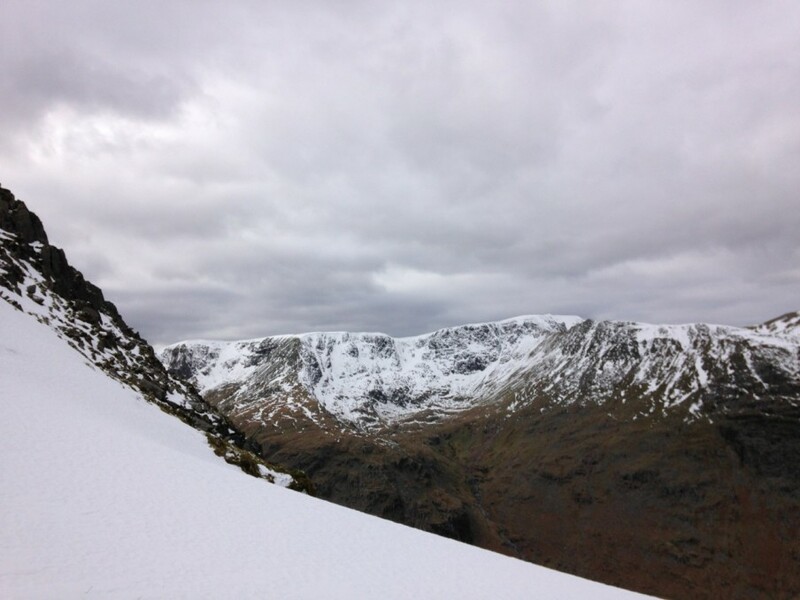 Higher up on my route, St Sunday Crag was white. I started up the slope, picking my way along frozen snow to the top. 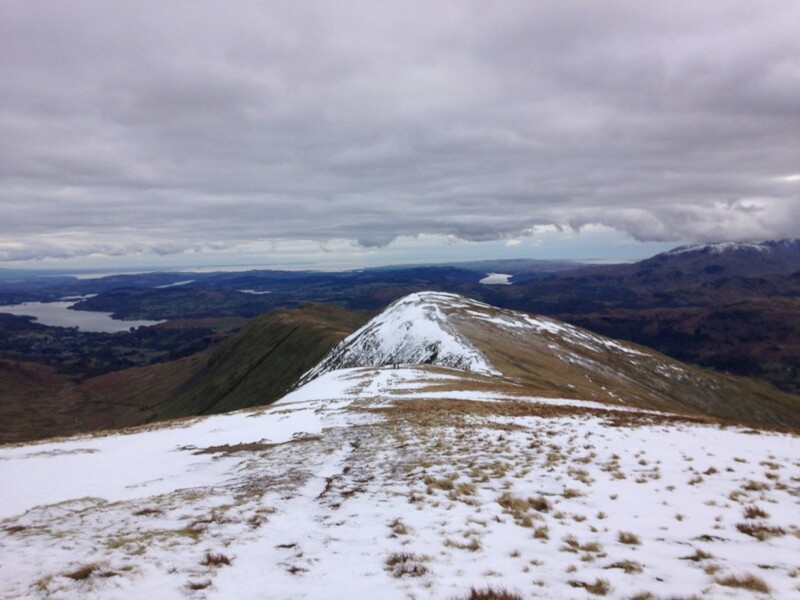 Ahead lay Fairfield, and as I started the climb up the arete in the snow, I remembered I’d taken my micro spikes out of my running pack before going on holiday. Ah well, I probably won’t need them. Higher up, the snow became hard and frozen. 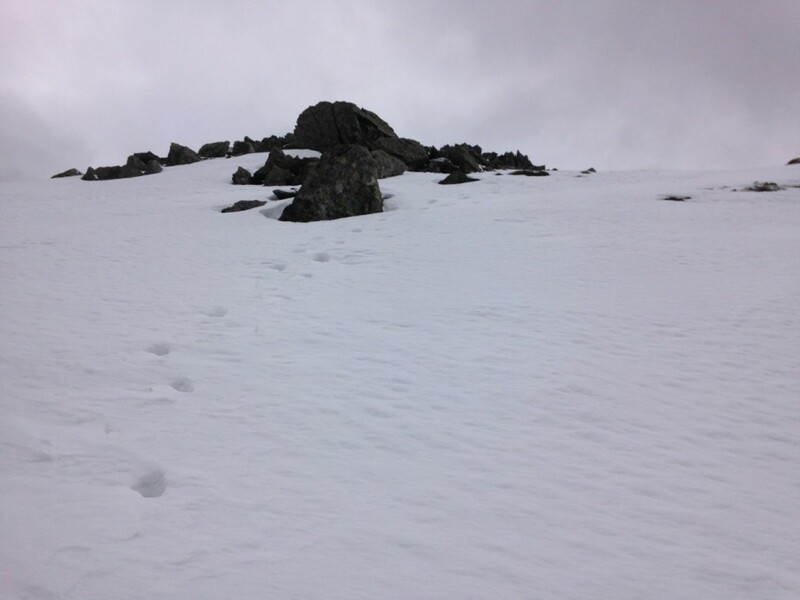 Fortunately there were some snow steps filled with spindrift and it was easy to kick steps into the holes. Nearing the summit, above me there was a bank of 50-60m of flattened cornice. I started up the steep slope, first kicking into old steps. The snow now became as hard as iron, frozen solid. There were only the imprints from crampons, and now I was half way up and committed. I couldn’t kick steps into the rock hard snow, so instead I used my poles, picking away at the snow until I had a small ledge. As it got steeper, I found a small hole in the snow, obviously from an ice axe. By taking my glove off, I found I could insert the forefinger of my right hand into the hole – it was even curved down slightly. It gave me some reassurance in case I lost my footing. Working my way upwards, I kept chipping away with my poles, and finding the small hole from the ice axe with my finger. The most difficult bit was just after the steepest section of the cornice. Suddenly, the hole from the ice axe had disappeared. Whoever had been up before me had simply used crampons on this flatter section having no further need of their ice axe. Yet I had nothing to hold on to anymore, and felt foolish for getting into such a situation and extremely vulnerable. One slip, and I was a gonna. 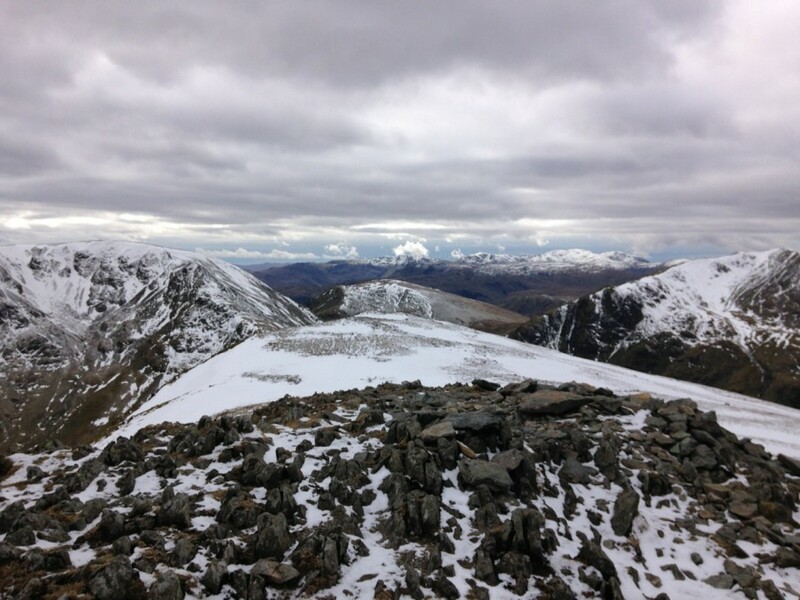 On the frozen, iced up, rock before the summit, I realised I’d made it and let out a whoop of delight. I was amazed to find it had taken me more than 45 minutes to overcome the snow slope. Running off the summit of Fairfield was interesting. The snow had thawed and refrozen, and the descent was treacherous with ice. 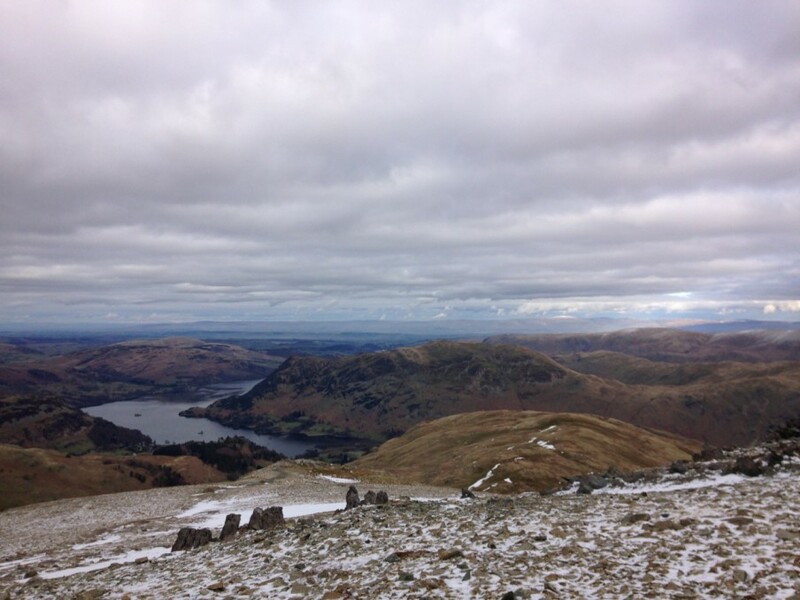 Up Great Rigg, then dropping out of the snow line to Stone Arthur, before contouring round the valley and climbing to Heron Pike. The final easy descent to Nab Scar, trying to be as careful as possible on the frozen rock. Reaching the bus stop, I found I’d missed the bus by just 3 minutes. 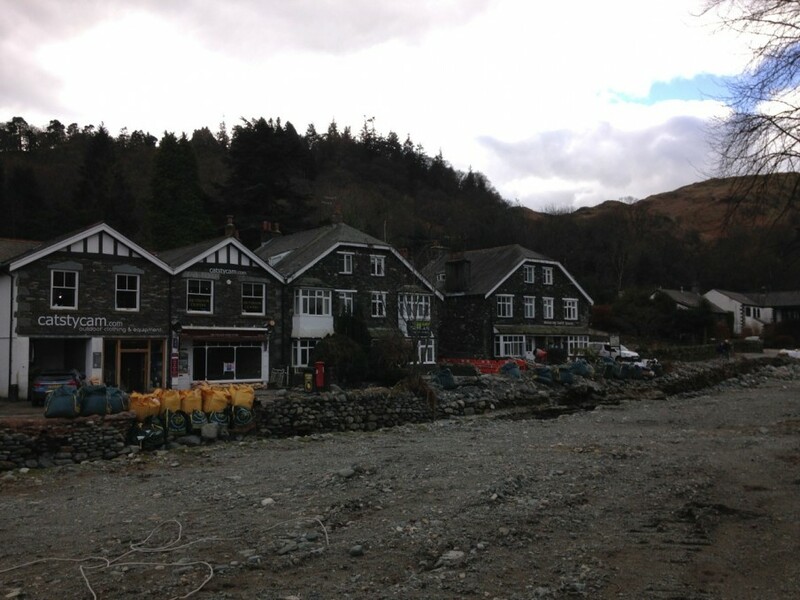 I had a cup of tea and a date slice at the Rydal Hall Cafe, then walked the last section along the bridleway to Ambleside to catch the 555 bus home to Kendal. Fabulous! 8 Wainwright summits today, that’s 37 down, 177 to go.